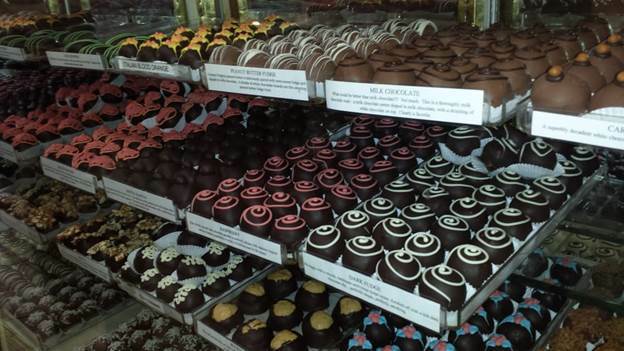 San Diego is known for its endless white sand beaches and amazing weather, but this beloved vacation destination also boasts an impressive number of chocolate shops. After you’ve visited the world-famous zoo and hung out at the beach, it might just be time to indulge your sweet tooth and give one of the top 5 San Diego chocolate shops a try. This adorable little shop located in Liberty Market is a wonderful place to sit and enjoy what some like to call life-changing mochas along with some hand crafted and rolled artisan chocolates. Tess and Jesse Brown, Chi Chocolat’s owners, are self-taught chocolate makers who delight in serving confections that contain the finest of ingredients with ‘no nasties.’ Stop by after a Liberty Market meal for a memorable after-meal treat. Be sure to give the Pink Champagne truffle a try, it was specially created for Christina Aguilera! 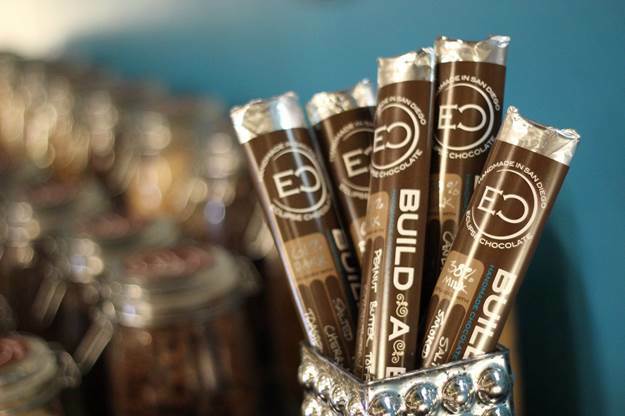 You wouldn’t expect a chocolate shop to be named “Best Brunch in San Diego,” and yet, that’s exactly what you get when you stop by Eclipse Chocolate Bar & Bistro. This unique place offers nearly 100 different handcrafted confections as well as dozens of pastries, and a full-service restaurant menu featuring daily brunch & nightly dinner. It’s a happening evening hang out as well, welcoming patrons for Build-a-Bar Nights (come design your own chocolate bar), Game Nights, and more. Fans recommend calling ahead for reservations, just don’t get so sidetracked by everything going on that you forget to try the chocolate! Started by two brothers determined to honor their family’s Venezuelan chocolate heritage, Chuao is known for delivering the solution to everyone’s cravings. While you can definitely buy their potato chip or rocky road chocolate in stores all around the country, in San Diego, you can visit the place where all this joy is created, get truffles or some of the company’s beloved bars. Reserve spots for factory tours on the company website. 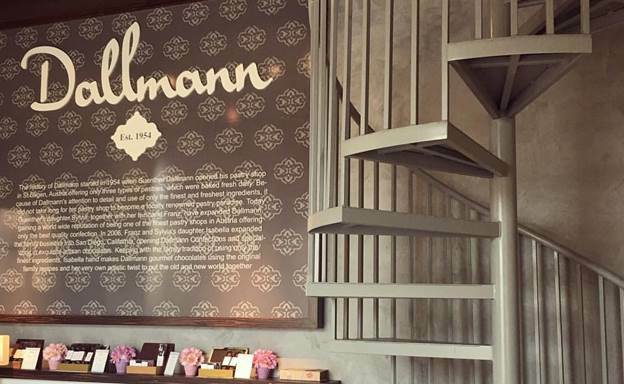 In 1954 the Dallmann family opened a pastry bakery in Salzburg, Austria. Fifty some years later, their granddaughter, Isabella Valencia, took the sweet family tradition in a new direction. While the Dallmann brand in Austria is known for its cakes and Pastries, Isabella is known for her exquisite hand-crafted chocolates. The gorgeous confections range from traditional flavors to more exotic and unique blends and are so good that people from all over the world make a point to stop by and visit. Be sure to try the PB&J truffle that fans rave about. When a graphic designer reinvents himself as a chocolatier, it’s not surprising that you end up with beautiful confections that are as pleasing to the eye as they are to the mouth. Pete Close started making chocolates in his home kitchen in 2002. Two years later, bolstered by his friends’ support, he opened a shop in Pacific Beach. There you’ll find many traditional favorites like chocolate turtles or peanut brittle as well as more original treats like the Caramel Bailey’s or the Cinnamon Bun truffle. Stop by during happy hour, 3-4pm.